commented on "The days are filled with fibre prep, dyeing, spinning and soon I hope to warp up both looms with new projects for the studio shop. ..."
The days are filled with fibre prep, dyeing, spinning and soon I hope to warp up both looms with new projects for the studio shop. Restocking frenzy with new stocks of Australian-made Landscape dyes now unpacked - I try and keep the full colour range in stock for you. More Gotland Rovings too on the shelf, hot from the farm in Victoria. Thanks Cheryl. A small amount of yarn is also available in 3 colourways. Check out the Fleece & Fibre section of the Online Shop. 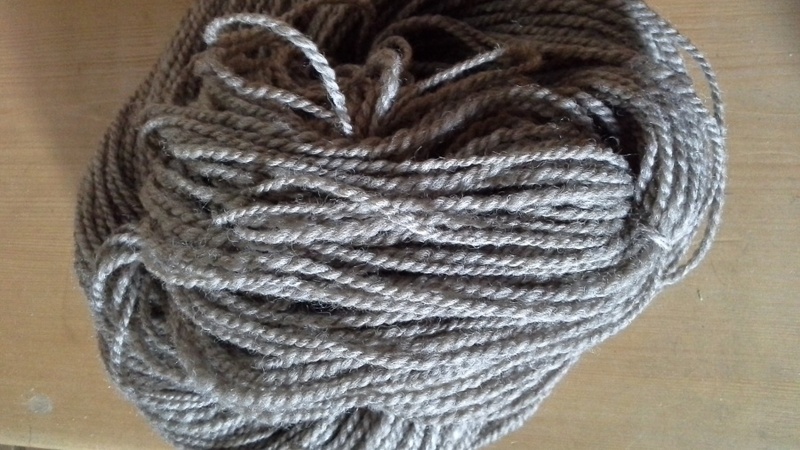 I brought home from the Mainland a good quantity of gorgeous XBred combed top in three colours : the silver grey and dark grey are stunning, good staple length and terrific handle. Should spin up beautifully. I am still playing with the white, which is in the superfine range but a short staple. Feels like merino lambs to me. I'll keep you posted. These three fibres are available in quantities up to 1 kg. Don't leave it too long! The Studio Shop remains CLOSED until August end but I am usually available if you are travelling through : just give me a call or drop an email a few days ahead so I can welcome you in.